Bacteremia due to gram-negative bacilli (GNB) is one of the most frequent causes of admission and prolongation of hospital stay. Nevertheless, optimal duration of antibiotic treatment is not clearly established. We designed an observational, prospective study of a cohort of adult patients with uncomplicated GNB bacteremia. They were classified according to the duration of treatment in short (7–10 days) or long (> 10 days) course. 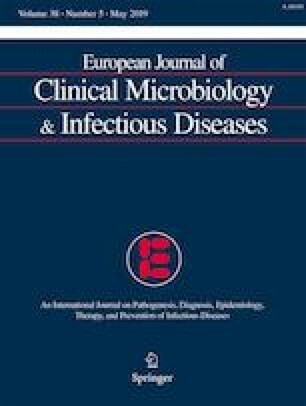 Mortality and bacteremia recurrence rate were evaluated, and propensity score for receiving short-course treatment was calculated. A total of 395 patients met eligibility criteria including 232 and 163 who received long- and short-course therapy, respectively. Median age was 71 years, 215 (54.4% male) and 51% had a urinary source. Thirty-day mortality was 12%. In multivariate analysis by logistic regression stratified according to propensity score quartile for receiving short-course therapy showed no association of duration of treatment with 30-day mortality or 90-day recurrence rate. Based on the results observed in our cohort, short-course therapy could be as safe and effective as longer courses. The study was approved by the Local Ethics Committee (2017/336) which waived the need to obtain written informed consent.